My publisher contacted me recently with a couple of bits of news. First, my Homestyle Chocolate Chip Cookie video clip has received over 100,00 hits on YouTube. Very cool... let's do the math... let's say even just 10% of those people baked just one batch... that's 120,000 VEGAN chocolate chip cookies satisfying those sweet teeth... maybe many more! Hoo-Ahh! Also, they are starting the 4th printing of eat, drink & be vegan! To celebrate these bits of good news, I will be doing another giveaway... not on this post, though. Stay tuned for my next post for details to enter. One other tidbit is that my "Wheat-Free Holiday Treats" article (mentioned in this post) is in the current (December) issue of alive Magazine. 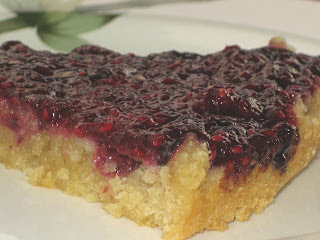 It includes two of my cookie recipes, and the new, gluten-free Raspberry Almond Torte recipe. Pick up your copy of alive in your local health food store now! yeah! Yours is my go-to chocolate chip cookie recipe! I'm glad so many others are enjoying it! hooray for vegan cookies! Congratulations! I was avoiding the health food store near me so I could save money (I just got back from Italy) but now I definitely have to make a stop. That's because your homestyle cookies ARE the yummiest chocolate chip cookie. Congrats Dreena. I recently finished reading ED&BV and loved it. After each page I kept saying to myself..."I'm going to make that"! !